Get one company to handle it all, from sprinklers to outdoor kitchens. Enjoy the added ambiance of lighting, water or fire features. We start from the ground up to provide a total landscape solution. Creating landscapes of distinction with modern and traditional designs. 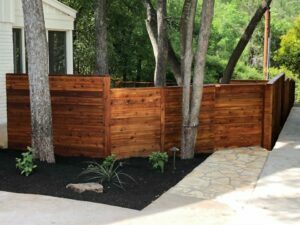 Best of Texas Landscapes is a design-build company serving the greater Austin areas. Our mission is to transform landscapes into distinctive outdoor living spaces of all sizes. We provide professional designs that allow clients to visualize their new landscape prior to construction and our team performs all building and installation required. Call us today to schedule a walk-through and get your new landscape design. Family and Veteran owned and operated, Best of Texas Landscapes is a full-service company on a mission to make it easier for you to create a transformative landscape experience. We specialize in total-landscape transformations. We work to schedule and complete your job on time and on budget. Our team is fully licensed and insured for their safety. We offer consultations to provide a complete assessment of your landscape. We provide dependable service for homeowners and developers. Build a space to entertain and relax. Take it outside with all the comforts of home. We hired Best of Texas immediately after we completed our pool. 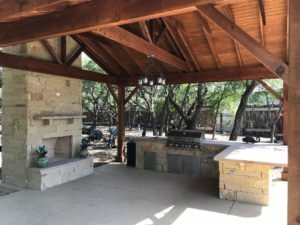 We hired them to fix our irrigation system that was damaged by the pool company, as well as build a flagstone patio fire pit area, construct two decorative stone walls, and create various landscape beds. We were very impressed with the professionalism and workmanship of the entire crew. The stonework they did for us is very beautiful and the landscaping plants they chose fit perfectly to give us our very own tropical backyard retreat. Jason and the entire crew were all great to work with. They are extremely reliable. We have had a lot of compliments on the landscaping and the lighting they did. We highly recommend them! Being a builder, I deal with lots of contractors. Communication and the ability to execute the scope of work with an established budget is what I look for when deciding if I will use a contractor again. Jason and his staff have worked with me on many projects! I was helping a friend out with his home and we needed a designer and landscaper. These guys were incredible, they designed his backyard from the ground up, tolerated all my questions and installed something amazing. Was a great project but Mark and Jason were pretty awesome to work with. Thanks guys!